The Fish: 2 ruby barbs, 4 zebra danios, 4 Neon Tetras, 6 minnows, 2 glass fish, 2 clown loaches. 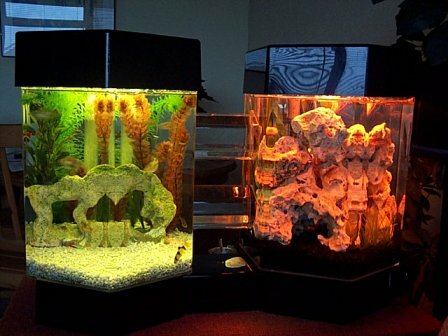 Comments: Owning an aquarium is great fun! !